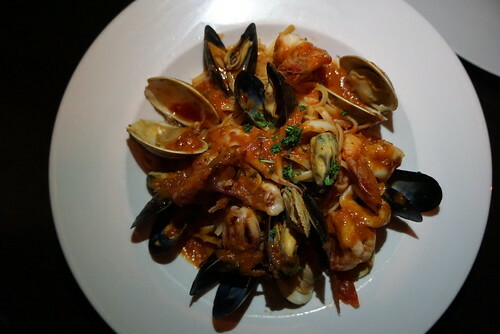 Another chef's signature dish is the frutti di mare. The linguine in fra diavolo sauce is generously topped with clams, mussels, and shrimp. 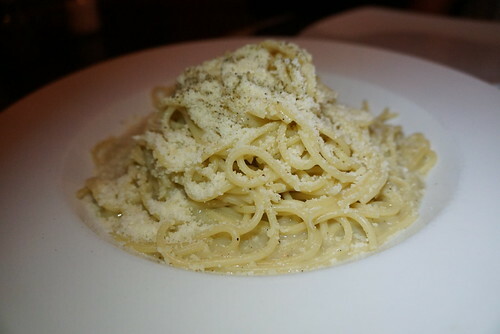 They also offer gluten-free versions of all the pasta dishes. 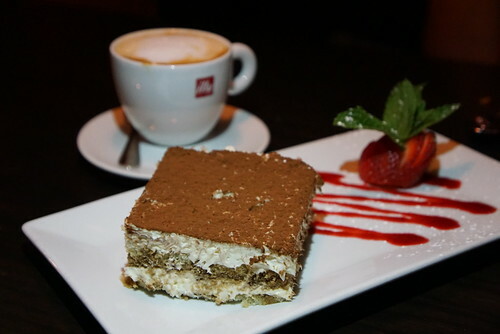 For dessert, I of course have to order tiramisu, one of my favorite desserts! 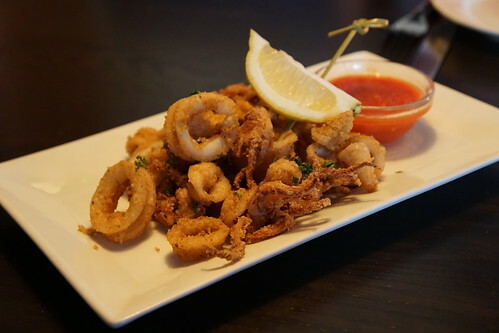 While the dishes you'll find here are typical dishes you'll find at many Italian restaurants, they're done well at Osteria Nino, making it a good option if you're looking to eat in the area. It's also one of the few places I've found that serve lambrusco by the glass!